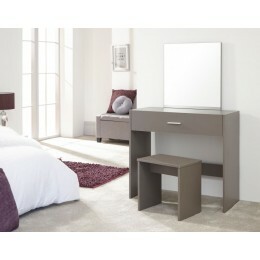 This beautiful and modern design dressing table is well designed and provides a huge amount of storage space. 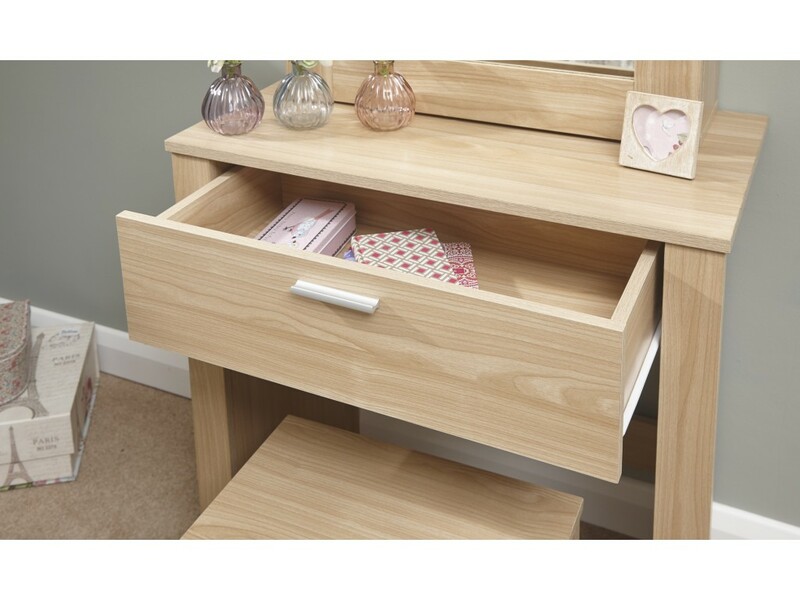 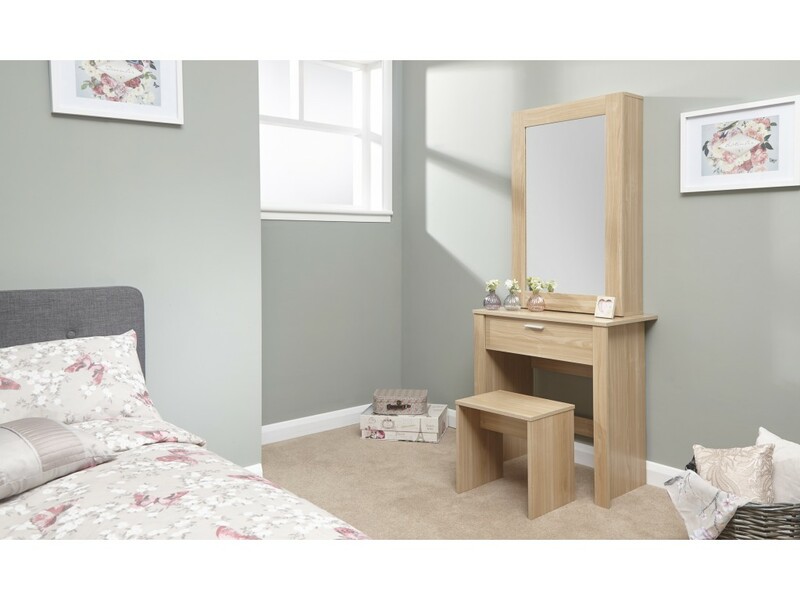 The beautiful natural oak wood finish makes this dressing table perfect in any bedroom décor and the slender unit featuring a neat sliding mirrored door incorporates shallow shelf space that’s perfect for perfume bottles and skin care products. 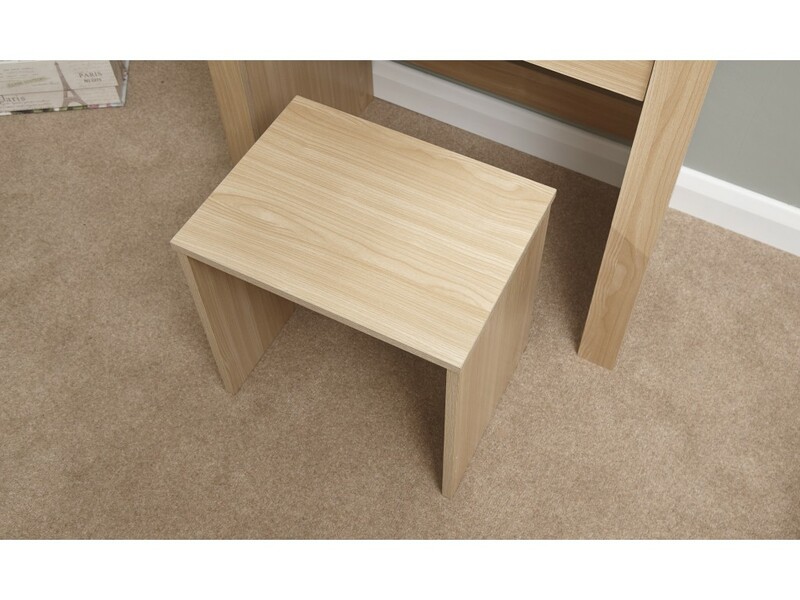 The simple matching stool fits neatly under the table. 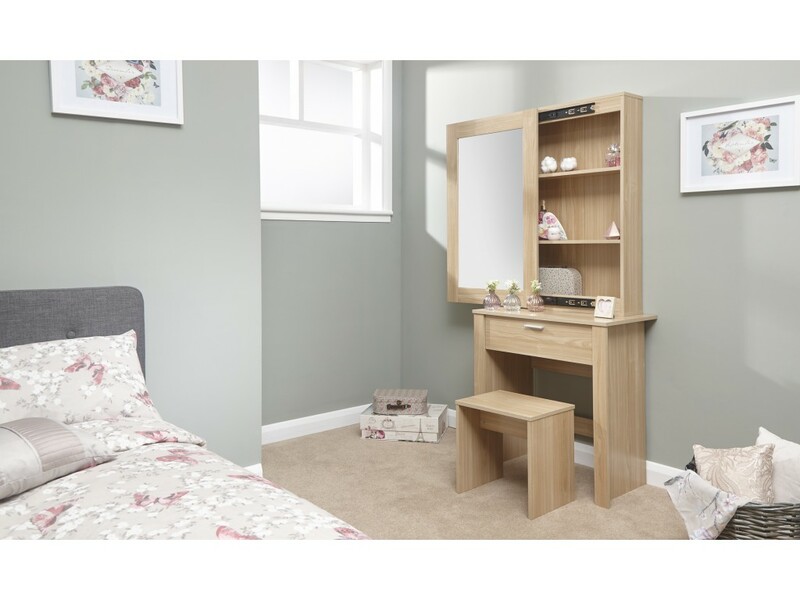 All deliveries to England, Wales and selected areas in Scotland will be done via our national courier delivery service, all other areas please contact us or see our Delivery Terms & Conditions for more information.